After their 1 st sold out concert at Star Theater last year, Twice returns to Singapore again with their 2nd Concert tour, Twiceland 2 Fantasy Park, at a venue Twice as large as last year’s, the Singapore Indoor Stadium. This is their first south east Asia stop after their 3 day concert in Korea which drew a total crowd of 18000 fans. Lets see what twice has to say to some of the questions fans have about them and their concert here tomorrow.​ Check out the Q&A below. How does it feel like returning to Singapore and performing at a venue that is twice as large as your previous concert over here? 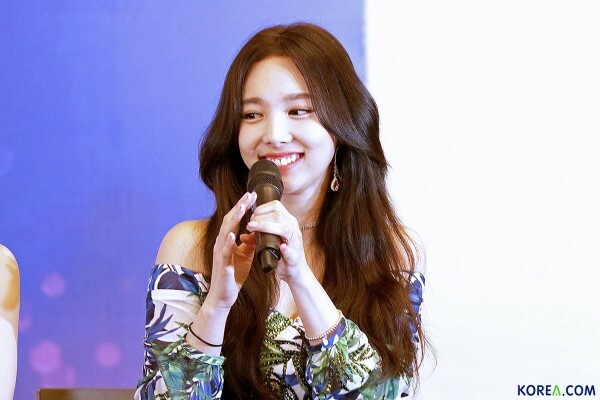 Nayeon: I am actually really grateful that I can come back to Singapore within 1 year and the venue being 2 times as big as last’s year I am really excited for tomorrow’s concert. How would your 2 nd concert be different from your first one here? Chaeyoung: Firstly we have a lot more songs than last year and this year we also have different unit stages for the fans to look forwards to. During your concert, which songs do you enjoy performing the most? Tzuyu: Personally I enjoy the song ‘Only You’ as I feel that different fans sing along with us and we enjoy the stage together so I am looking forward to have a great performance for this song tomorrow night. Twice recently became the first female foreign artist to have a single album certified double platinum in Japan, what do you feel about this remarkable achievement? Stay tuned for more HQ pictures of TWICE!